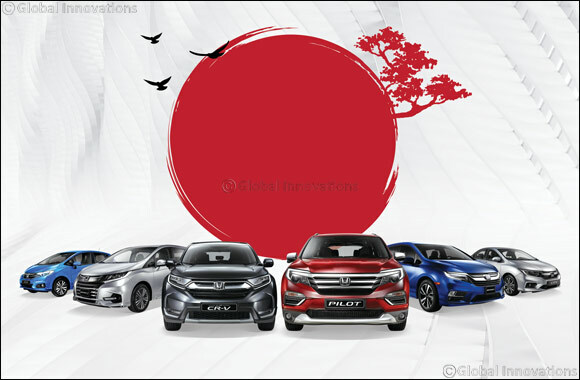 Dubai, February 02, 2019: Al-Futtaim Honda, exclusive distributor of Honda cars, bikes, marine engines and power products in the UAE, has launched its early bird deals across showrooms in the UAE giving customers the perfect opportunity to own their dream Honda cars. Customers can drive away in the sleek and charismatic Honda Civic starting from AED 69,900 or Honda’s best-selling midsize sedan – the Honda Accord starting from just AED 89,900. In addition, Al-Futtaim Honda is also offering zero percent interest up to 5 years on select models, 5 years unlimited mileage warranty and roadside assistance on all new cars and customers can also trade-in their old vehicles – any make or model for a brand new Honda.